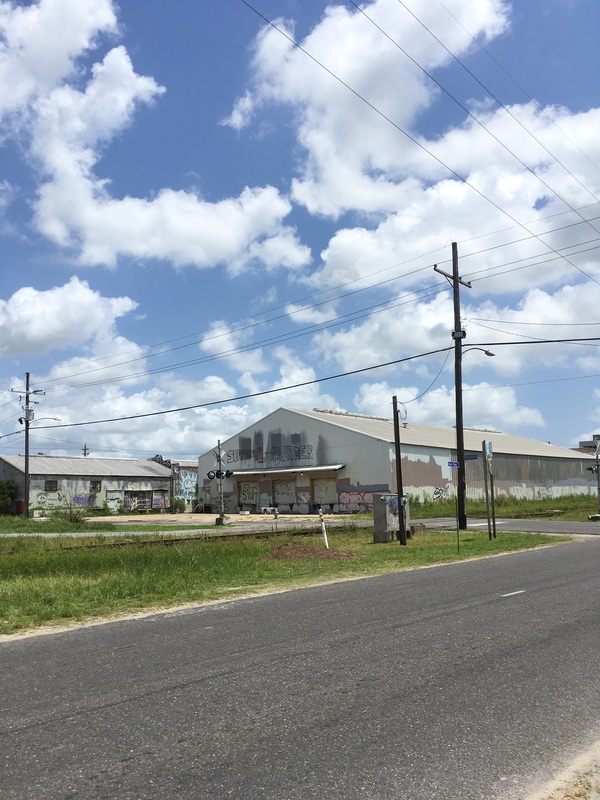 Last week, a few days after I arrived in town for the summer, I drove from Broadmoor over to St. Claude. I followed the street across the canal, stopping along the way to take photos of a few things that caught my eye. 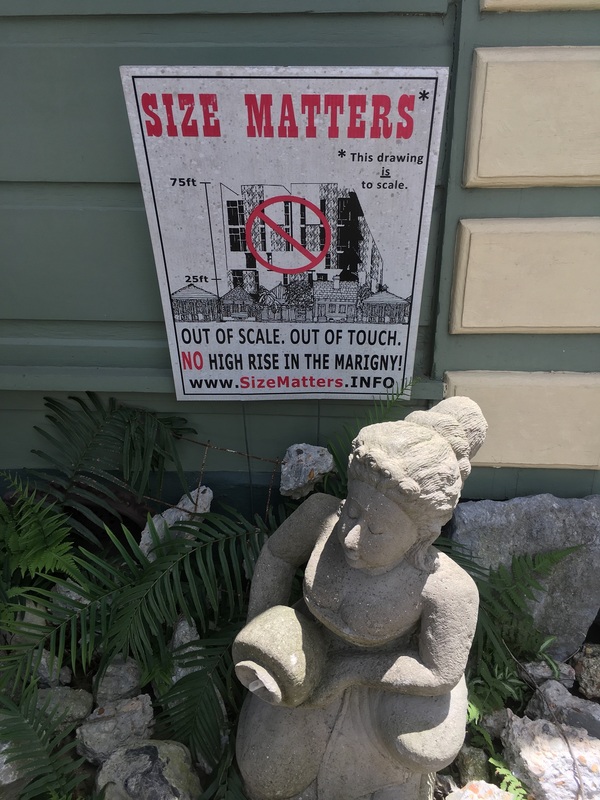 When I looked them up later, I found these buildings, street art pieces, and signs to have extensive histories and deeper significance than meets the eye. I wasn’t surprised; New Orleans is full of ghosts, and not all of them are people. Some are ideas. Under the overpass. 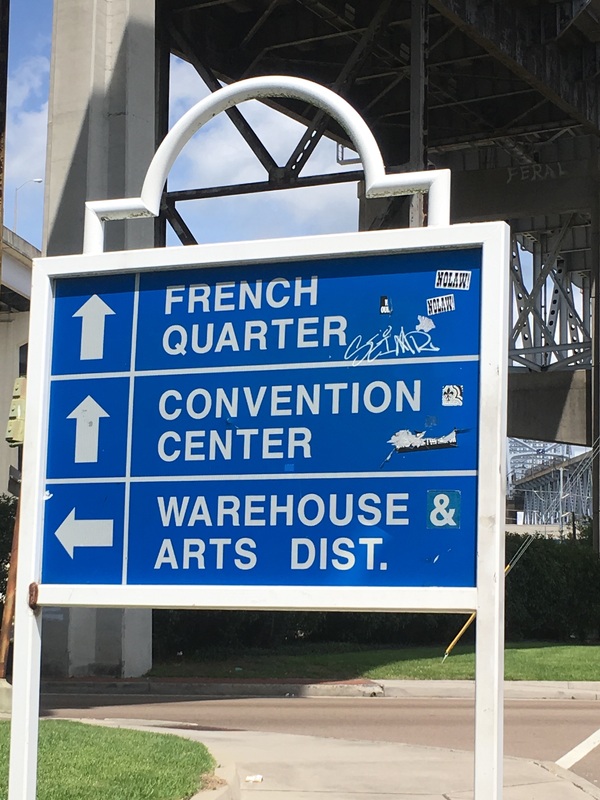 See the stickers next to the French Quarter part? I thought they were a take on the city’s reputation as, you know, lawless, but when I Googled “NO LAW New Orleans” I found out it’s an acronym for New Orleans Ladies Arm Wrestling, a group that raises money for local nonprofits through performance-based competitions. I love that whenever I think I might know something about New Orleans, I’m proven absolutely wrong, often just by looking it up or asking somebody about it. 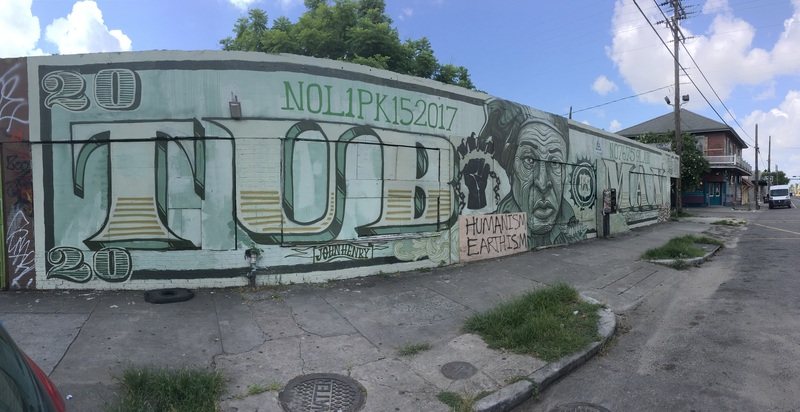 A mural on St. Claude, near the AllWays Lounge. 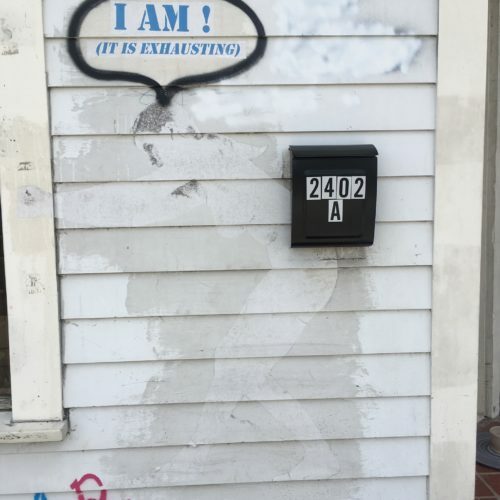 The piece covers a series of portraits of U.S. presidents by the Los Angeles-based graffiti artist Muck Rock, which met with debate about cultural consciousness and what it means to claim space in New Orleans, especially in the Bywater. The work becomes even more interesting when you consider the debate about the $20 bill (whether Harriet Tubman will be on both sides or Andrew Jackson will remain on one) alongside the topic of gentrification in the Bywater. Could the piece be a metaphor for Bywater’s changing demographics, a question about who is being remembered now, and who is being forgotten? Is there room on the $20 bill or in the Bywater for both the remembered and the often forgotten, or only one? 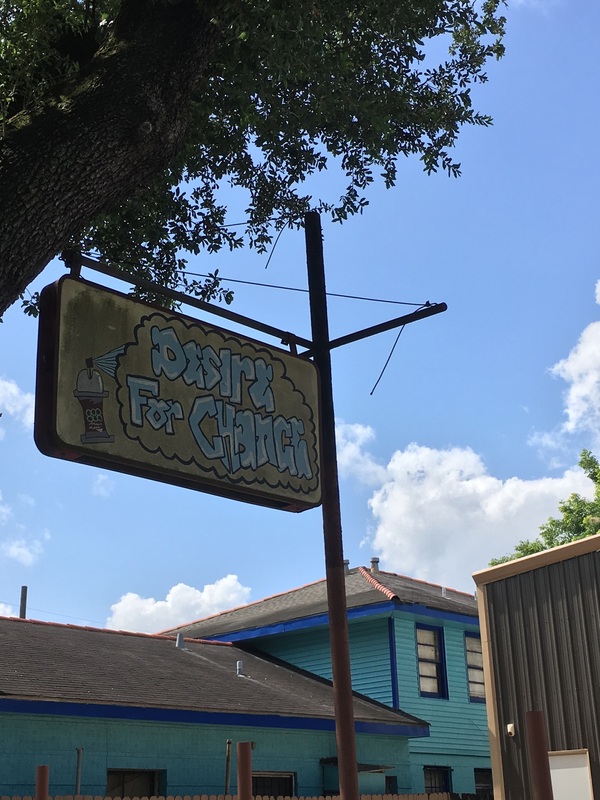 A sign for an after-school program on St. Claude in the Holy Cross neighborhood. 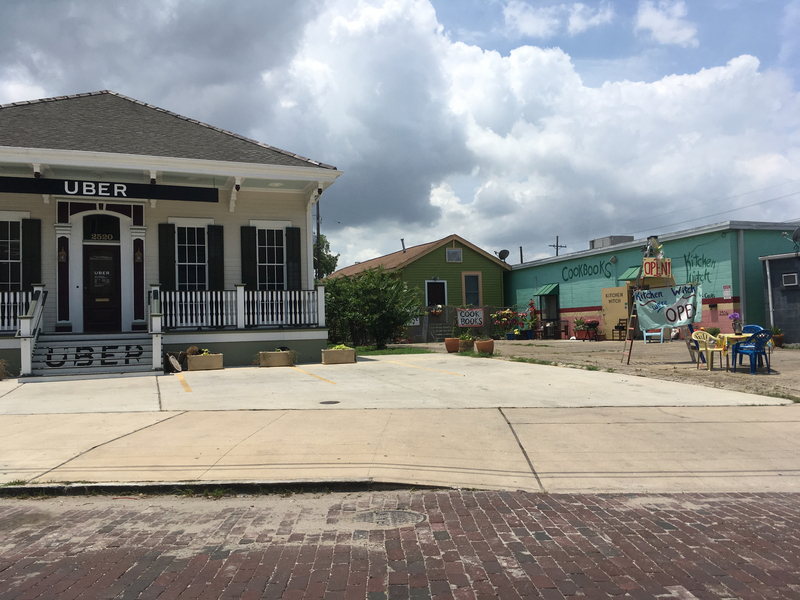 In the future, I’d love to do a series of interviews with people who live on and around St. Claude from Bywater all the way across the canal, to Holy Cross and the Lower Ninth Ward. It’s so important to have a record of how certain changes are (and aren’t) affecting the folks who live in these seemingly disparate areas. Of course, I’m sure people are doing this already—do you know of anyone who is? Shoot me an email and let me know–Nora.Daniels@gmail.com. 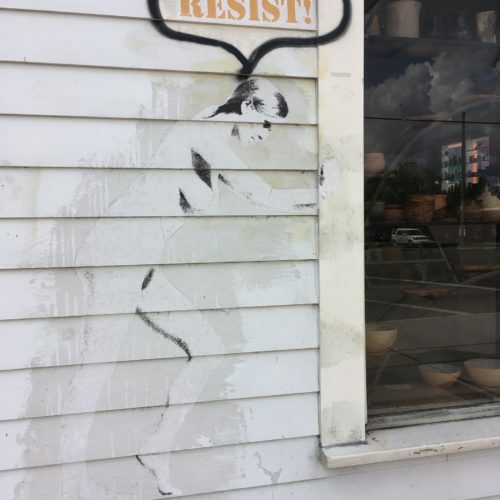 Street art on opposite sides of the window into Byrdie’s Pottery, on St. Claude in Bywater. I was struck by the “(It is exhausting)” line, so much smaller than the big “RESIST!” and “I AM!” And the faintness of those bodies—like the effort of resisting is making them disappear. 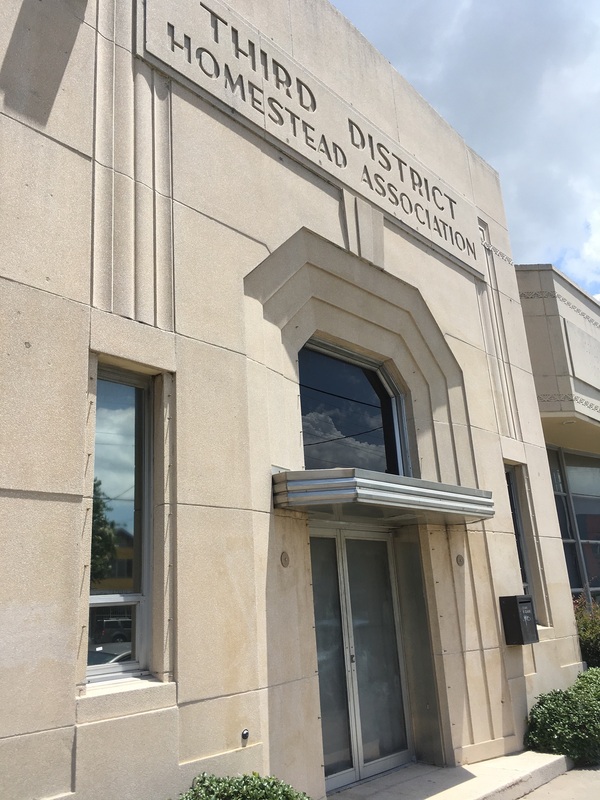 The building is a dialysis center now. 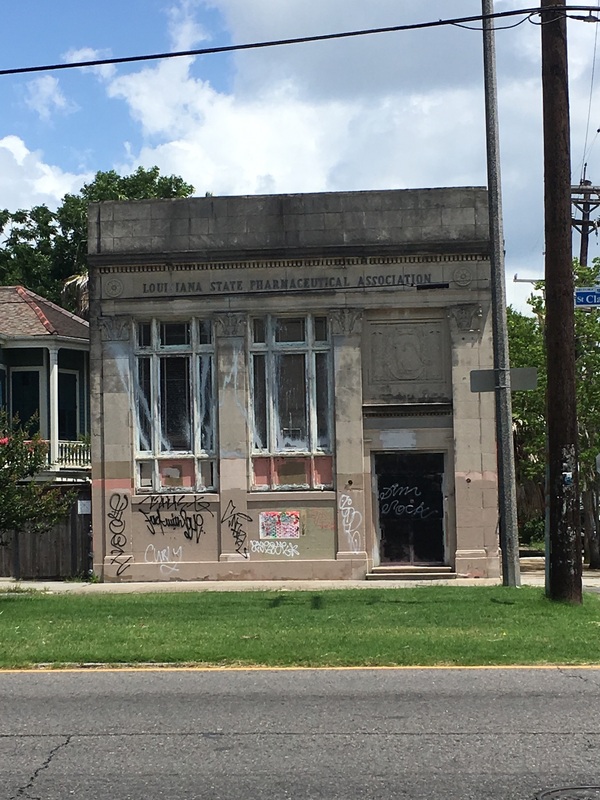 The Louisiana State Pharmaceutical Association building on St. Claude, which was #8 on a 2017 list of New Orleans Nine Most Endangered Buildings. The article says it was designed in 1926 and has been used most recently as an art studio. Anyone know the story of the graffiti towards the top of this building at Press and Royal, across from NOCCA? It reads “SUPPORT—MURDER,” with some sort of sign in the middle. This one isn’t from the Bywater or the Marigny, but the contrast between the dark and heavily branded Uber offices and Kitchen Witch’s whimsical, multi-hued facade in the 7th Ward was too much for this wannabe sociologist to resist.